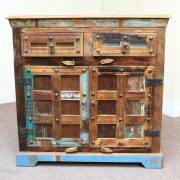 Industrial style sideboard with one cupboard and two drawers. 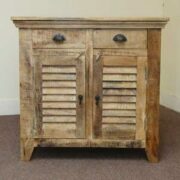 A modern, light colour sideboard with one full width cupboard and two drawers giving plenty of room for your things. 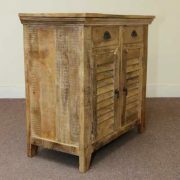 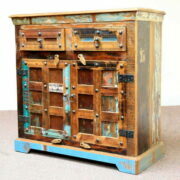 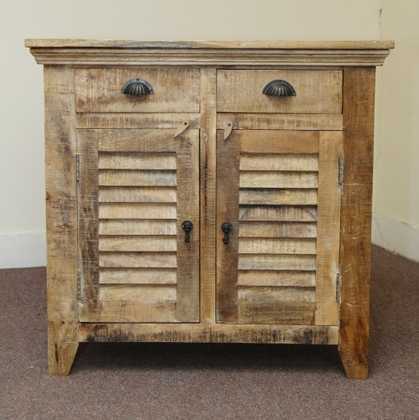 Made from mango wood, rough finish with metal shell style handles on the drawers, and metal drop handles on the louvre style cupboard doors, the unit has been distressed to give it an urban industrial look. 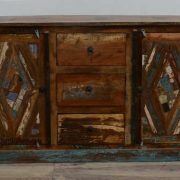 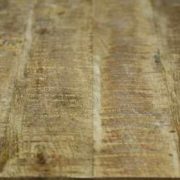 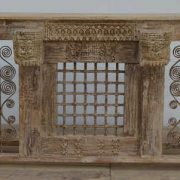 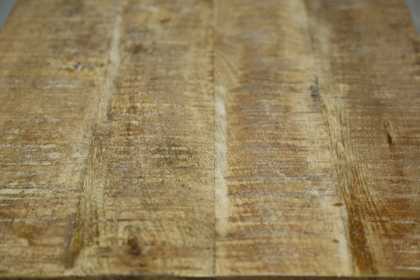 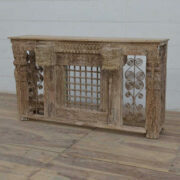 Unlike some of our pieces that sit directly on the floor, this sideboard is raised by integral feet. 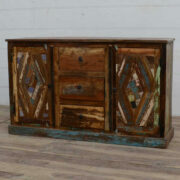 Would look great in a contemporary home.